A Bauchi State High Court has sentenced Mr. Soyemi Lateef, to nine years imprisonment for misleading the Pension Transitional Arrangement Directorate (PTAD) into paying N586, 004.38 to a non-pensioner, Mr. Saliu Oba Amao. The court also sentenced Amao to nine years in jail, for providing fake bank details in the name of Ishaku Dass, to PTAD for the purpose of misleading the agency into paying him pension benefits. 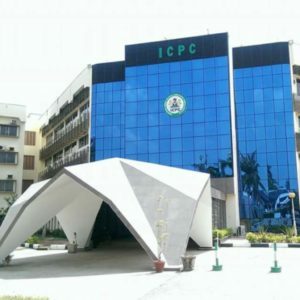 The Commission, in a 6-count charge, told the court that the convicts conspired to steal pension money between November and December 2013, when Lateef inserted Amao’s name as Ishaku Dass in the list of retirees meant to be paid by PTAD in return for an undisclosed favour, an action that contravened Section 25 (1) (a) of the Corrupt Practices and Other Related Offences Act, 2000 and punishable under Section 25 (1) (b) of the same act. Part of the charge sheet reads, “That you Soyemi Lateef sometime between November and December, 2013, while serving as Admin Officer at the Bauchi State Police Pension Office, did make false statement with the intent to mislead PTAD to pay the sum of N586, 004.38 pension to Saliu Oba Amao when you inserted in the list of retirees the bank details which one Saliu Oba Amao opened in the name of one Ishaku Dass, in order to repay him for a favour earlier done to you and thereby committed an offence contrary to Section 25 (1) (a) and punishable under Section 25 (1) (b) of Corrupt Practices and Other Related Offences Act, 2000. Counsel to Lateef and Amao pleaded with the court to show them mercy on the grounds that they were first-time offenders and had cooperated fully with the prosecution. Justice Suleiman, in his judgement, found them guilty on all the counts and therefore sentenced them to one year and six months on each count which will run concurrently without an option of fine.